Parents, teachers, and even pets all go through times where they just have no patience for the shenanigans the people around get them into... And their reactions to said foolishness can be utterly hilarious to watch. We dedicate this article to those proud few who get so “savage” that they can only be described as legendary. Bright Side has collected some of the funniest images out there showing where patience has run dry. 1. He’s trying to make his owner jealous... That’s who he’s staring at. 4. Seriously, this is the plot to Snow White all over again. 6. University police can be the most merciless. 7. 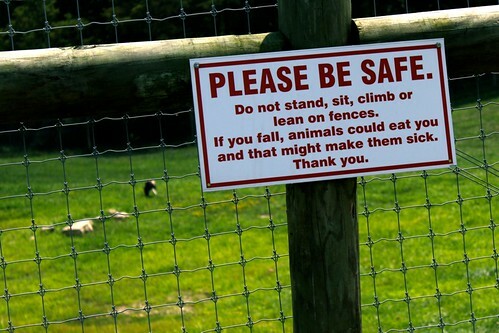 Please, won’t somebody think of the poor animals? 10. For Halloween, this girl decided to be what all men dread most in their hearts: Commitment. 12. The strangest thing is that it took 10 months to find a badly parked car. 16. We don’t condone his actions, but we’ve all secretly wanted to do this. 19. This guy won $1 from the lottery, but wanted his 15 minutes of fame to last. 20. Mom just loves personalizing her kids’ birthday cakes. Has someone proven to be too savage for you to handle? Let us know! Share your stories!